Yash IT solutions provides IT hardware and software solutions to a wide range of businesses. They are also the authorised dealers for MArg software in Goa. 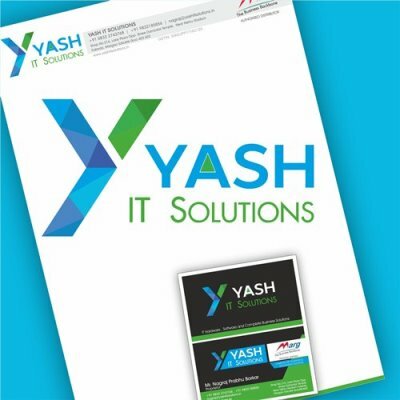 Deviant strokes has helped YASH IT solutions to rebrand it self into a modern outlook. Completely new corporate brand identity was designed keeping in mind the new age customers, the arrow in Blue defines progressive mindset , the Triangles in the logo defines stability in the systems and the Green arm of the Y reflects sustainibility. Mr Nagraj prabhu , the Founder of Yash It solutions claims a higher Brand recognition and trustworthiness towards the brand after the launch of new identity.